Eleanore believes that massage is an incredible tool in helping to power down our nervous system in an increasingly stressful environment. 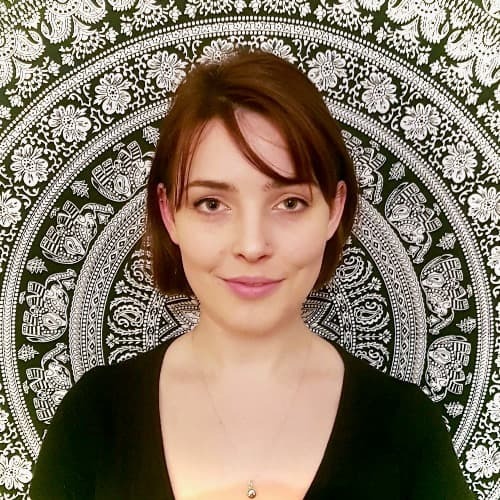 Having gained her iTEC level 3 Sports Massage qualification in 2018 she is keen to keep studying, looking to specialise in myofascial release as well as clinical massage for oncology and dementia patients. Throughout her practice she’s seen that anyone, from competitive athletes to sedentary office workers, can improve their quality of life through personalised massage treatments. As an active lifter who practices yoga and climbing she appreciates that when we develop muscle tension this can hamper not only progress in training but also in our range of motion day to day. Through massage, soft tissue and muscle energy techniques, she aims to reduce tension as well as free muscle restrictions and adhesions (“knots”). Eleanore is a firm believer in finding and treating the cause of pain/discomfort rather than just the symptoms – she has an intuitive, dedicated approach to her treatments and loves to see results. Professional touch by practiced therapists promotes physiological health but also emotional well-being. Clear communication and creating a relaxed, safe environment are very important to her – above all else she aims to offer a compassionate, pain-free service. Whether you’re seeking to improve your posture, ease muscular discomfort or have that weekly tension ironed out Eleanore would love to help you in achieving your goals.